Lee Christian, the document states, reserves the right to deny admission or expel a student should the “atmosphere or conduct within” the home on these issues run contrary to the private school’s beliefs. And while the school, which serves about 370 kindergarten through 12th grade students south of the Triangle, has yet to receive any public funding under the state’s voucher program, Lee Christian is eligible, says Kathryn Marker, associate director of K-12 programs for the N.C. State Education Assistance Authority, the agency that oversees the program. “It’s very alarming and extremely upsetting,” says N.C. Rep. Tricia Ann Cotham, a Democrat and school administrator from Mecklenburg County who serves as vice chairwoman for the House K-12 Education Committee. N.C. Policy Watch obtained a copy of the agreement this week from Lee County news blog, The Rant. Public education advocates and lawmakers like Cotham feared such requirements would be imposed upon potential recipients of state vouchers when funding for the program was bundled into the state’s budget bill in 2013. Indeed, critics have pointed out other examples of apparent discrimination among North Carolina private schools. Leanne Winner, director of governmental relations for the N.C. School Boards Association, pointed to allegations of discrimination in at least seven schools, spread out across the state in places like Raleigh, Matthews, Fayetteville, Jacksonville, Greensboro, Harrisburg and Pineville. The program, which offers tuition scholarships of up to $4,200 annually for low-income students to attend participating non-public schools in North Carolina, primarily caters to religious-based schools. And state law, which only bars discrimination in participating schools based on race, color or national origin—the federal Title VI standard—falls short of what’s necessary, opponents say. “We do not believe that taxpayer dollars should be going to any school that includes discrimination in their admissions policies, whether it’s based on race or sexual orientation,” said Winner. Nevertheless, last year, lawmakers and Gov. Pat McCrory signed off on a voucher expansion that would funnel more than $40 million into the program through 2017, despite lingering legal challenges to its constitutionality. It’s an open national debate, says Julie Mead, a professor in the University of Wisconsin-Madison’s Department of Educational Leadership & Policy Analysis. Mead and fellow researchers are prepping a study for this spring comparing voucher statutes across the country. North Carolina is one of 23 states nationwide that allow public vouchers or some other voucher-like program, such as tax credit scholarships, today, although the state falls short of the broader anti-discrimination protections offered by states like Wisconsin, which was one of the first states to pursue public vouchers in the 1990s. As Mead explained, Wisconsin voucher participants may only reject applicants on the basis of capacity, and they are also required to offer students the choice of opting out of a private school’s religious activities. 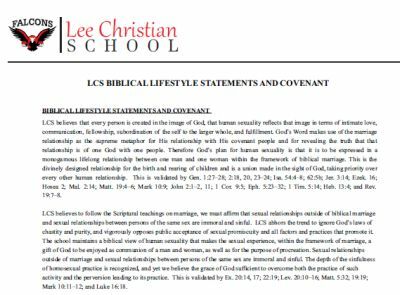 Lee Christian School’s “covenant” does offer the addendum that the agreement is not intended to “dictate the personal choices of any individual.” It is intended to communicate to workers and families that the school “chooses to minister only to those that are striving to live according to Biblical principles and faith,” the document states. 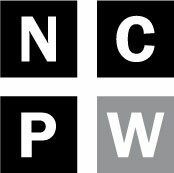 In a brief interview Wednesday with N.C. Policy Watch, the school’s administrator, Don Payne, declined to comment on the agreement, although he argued that it is not the school that would be receiving public funds under the voucher program, but the parents who might send their children to Lee Christian. Mead says it’s unclear how the U.S. Supreme Court would side on states neglecting more stringent discrimination protections, given that the high court’s 2002 decision upholding Ohio vouchers in Zelman v. Simmons-Harris stated that voucher recipients cannot be defined by religion and that they have a “genuine choice” between religious and non-religious schools. N.C. Sen. Valerie Foushee, an Orange County Democrat who sits on the Senate’s Education Committee, said they shouldn’t be. And while educational advocates have pointed to similar examples of apparent discrimination in North Carolina private schools in the past, Foushee said she counts the Lee County school’s policy as among the most egregious. N.C. Superintendent of Public Instruction June Atkinson, also a Democrat, agreed with Foushee. But Cotham says it’s unlikely her committee or any others in the N.C. General Assembly will consider such changes in the law when legislators reconvene in late April. Parents for Educational Freedom in North Carolina, one of the groups that led the push to install public vouchers in North Carolina, did not respond to Policy Watch’s questions regarding the school on Wednesday. Read a full copy of Lee Christian School’s “covenant” here.